A building in 90° weather and no air conditioning is a major problem. Occupant comfort is our ultimate goal. Casto Technical takes pride in knowing our service technicians are professional and highly trained to service and repair all brands of HVAC equipment. We have been providing 24/7/365 mechanical services for commercial, institutional and industrial clients for over 50 years. We are committed to providing the right person, equipped with the right tools to get your job done right. Casto Tech’s Service Technicians can install, service, and maintain all brands of HVAC and mechanical systems to ensure that you have peace of mind when you call Casto. 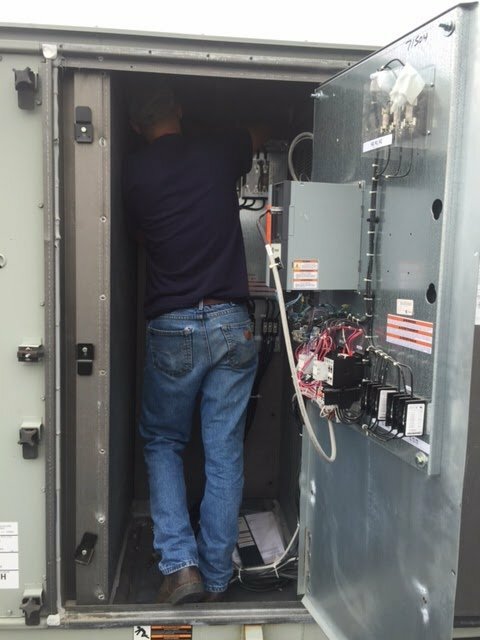 Let us develop a preventative maintenance program that suits the needs of your personnel, facility and HVAC systems.